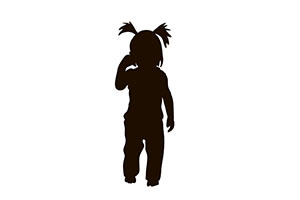 Child Protective Services (“CPS”) (or Child Welfare Services (“CWS”) as it is known in San Diego) is a county agency charged with ensuring the safety of children – a job at which they sometimes succeed and oftentimes fail. CPS investigates parents or other caregivers when there has been an allegation that child abuse has occurred. Such abuse can consist of physical abuse, sexual abuse, emotional abuse, or neglect, and investigations can even target the other parent (the non-offending one) for failing to protect against some sort of abuse. Not every allegation leads to an investigation – It is within the discretion of CPS as to when an investigation is to be conducted. When CPS (or CWS) investigates you or a family you know, a social worker will attempt to determine whether abuse has occurred. The CPS social worker will do so in a number of ways. First, the social worker usually goes to the child’s school to speak with the child away from the person being investigated. The social worker must ask the child if s/he would be more comfortable with someone else in the room, and, if so, grant that request. Next, the social worker will begin speaking with people who can support the allegations of abuse (such as the person who made the allegation, witnesses, police officers, school personnel, doctors, etc.). Only then will the social worker speak with the parents, and will usually do so by showing up unannounced at the parents’ home. It is important to note that people are under no obligation to speak with social workers (meaning you don’t have to speak with them, and it might not be in your interest to do so), and individuals can demand that an attorney be present during these conversations. During the investigation, a social worker may try to get the parents to agree to a “safety plan” which puts in place rules regarding child custody and visitation to remain in effect until the investigation’s end. At the end of thirty days (or thereabouts), the social worker will find that the allegation of abuse is “substantiated” (meaning the social worker believes the abuse occurred), “inconclusive” (meaning the social worker doesn’t know whether the abuse occurred), or “unfounded” (meaning the social worker does not believe that any abuse occurred). You should be very careful when agreeing to a safety plan proposed by a social worker as your agreement can lead to very significant and long-lasting changes to the structure of your family. A Tot Law San Diego CPS attorney can review the proposed safety plan with you so that you make the best possible decision for you and your family. Substantiated for Abuse: If an allegation of child abuse is substantiated, the social worker has a number of options. First, the social worker can take your child and file a petition in Juvenile Court. When this occurs, you will not receive any notice that your child is being removed from your care, and you will receive very short notice that there will be a hearing in Juvenile Court concerning your child. For these hearings – which can ultimately result in the termination of your parental rights – it is absolutely imperative that you have an experienced and passionate attorney such as those CPS attorneys from our San Diego office to help you get your child back. As another option after an allegation of abuse is substantiated, a social worker can attempt to get a parent to agree to “voluntary” services rather than initiate a court case. As with the safety plan, voluntary services can lead to an enormous disruption with the family and can significantly impact a parent’s rights to custody and visitation, so the terms of the voluntary “contract” with CPS/CWS must be carefully analyzed. Here at Tot Law, our CPS attorneys help parents to understand these options and make the best choice possible. Please note that if abuse is found to have occurred and a Juvenile Court case is not begun, then the name of the individual found to have committed the abuse will be submitted to the Child Abuse Central Index (“CACI”) which is a list maintained by the Department of Justice (“DOJ”) so that the names of abusers will come up in background searches for employment, volunteer opportunities (such as at schools and hospitals, with sports teams, etc. ), and other instances in which that person could come into contact with children. If this occurs, you should receive notice of your name being placed upon the CACI, and you must attempt to fight this listing within 30 days by requesting a CACI Grievance Hearing or you will lose the right to do so forever. Our CACI Grievance Hearing attorneys have successfully removed many clients’ names from the CACI so please contact us immediately if your name has recently been placed on this list. More information about the CACI hearing and the ways we can help can be found here. Also, if you are a foster parent being investigated for abuse, please see our section on San Diego Foster Care Licensing hearings for more information about the services our Foster Care licensing attorneys provide in those situations. “Inconclusive” for Abuse: If an allegation is deemed “inconclusive,” CPS should not file a petition against you but can ask you to engage in voluntary services as described above. In addition, findings that abuse was inconclusive can be used against a parent in Family Court proceedings as well as Guardianship matters, and our CPS attorneys can help you to consider your options if the results of an investigation is impacting you in these other types of cases or if you are seeking to use these results against another individual. “Unfounded” for Abuse: Allegations found to be “unfounded” should not hurt someone but often do in Family Courts or other proceedings in which the decision-makers don’t understand the investigations and their outcomes. Call now so that our attorneys who fight CPS can assist if CPS/CWS investigations are impacting your custody/visitation! Tot Law’s CPS attorneys believe that Juvenile Court cases in which CPS has taken the child are the single most-important court case anyone can ever go through (even compared to life in prison or death). The reason we believe this is because we feel that the worst thing that can happen to anyone is to have their child taken away, adopted by a complete stranger, have their birth certificate and other documentation changed so that the child’s parents are no longer legally recognized as the parents, and never see that child again. Do Not Be Mistaken – This is what can (and does) occur in Juvenile Court. For this reason, people going through this process need the services of a CPS attorney who is experienced, respected, passionate, determined, and who has dedicated his life to making sure that a child’s best interest is being served. You can place your trust in the court-appointed attorney to take an interest in your case over the many others in his or her file cabinet and to perform in court like a more experienced and better attorney rather than just to go along with whatever CPS says, or you can realize that you are in the fight of your life – for the person you love most – and place a call to our office to speak to an attorney experienced in successfully fighting against CPS right away. Relatives play a tremendously important role in cases involving CPS/CWS. In fact, one of the first things we do in our Juvenile Court cases is to fight to get any child out of foster care and placed with a relative or family friend. This is for three reasons: 1. To keep a child with familiar faces; 2. To eliminate the chance that the child’s foster home will become attached to the child and push to adopt him or her; and 3. To ensure that the child will remain with family or friends if the worst case scenario becomes reality and the child is put up for adoption. All relatives and family friends can and should play a role in cases against CPS, and oftentimes the only way CPS will listen to you is if you have an attorney and force the issue. Unfortunately (or maybe fortunately when considering the quality), you are not entitled to court-appointed attorneys so you will need to secure your own. Do not wait until it is too late and the child is bonded with someone else – Call our offices now and a San Diego CPS attorney will take you through all of your options as a relative to a child in foster care. Foster parents too can and should play a role in these proceedings. If the child is in your foster home and you have an interest in the child’s well-being and best interest, you should act accordingly and involve yourself in the case to make sure the judge has all the information necessary to make the best decision possible about that child. Similarly to relatives, foster parents are not entitled to court-appointed lawyers but again maybe this is a good thing. As soon as you as a foster parent believe that your voice should be heard regarding the child’s best interest, get an experienced attorney if you think there’s any chance that you will later regret not doing so. Tot Law CPS attorneys have helped many foster parents to realize their goals in Juvenile Court (when on the same side as CPS and when not), and we work closely with county foster homes as well as Foster Family Agencies to achieve our success.